Collecting the canned goods during the holidays is only the first step in helping our neighbors in need. 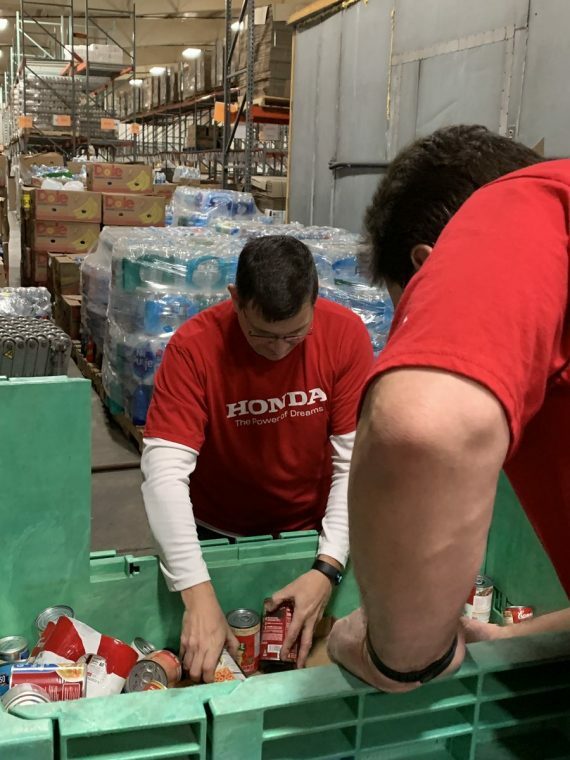 With hundreds of pounds of collected items in just a few weeks, sorting and packing the food is sometimes an even bigger task. Luckily, nearly 15 volunteers from Honda of America Manufacturing in Ohio answered the call. 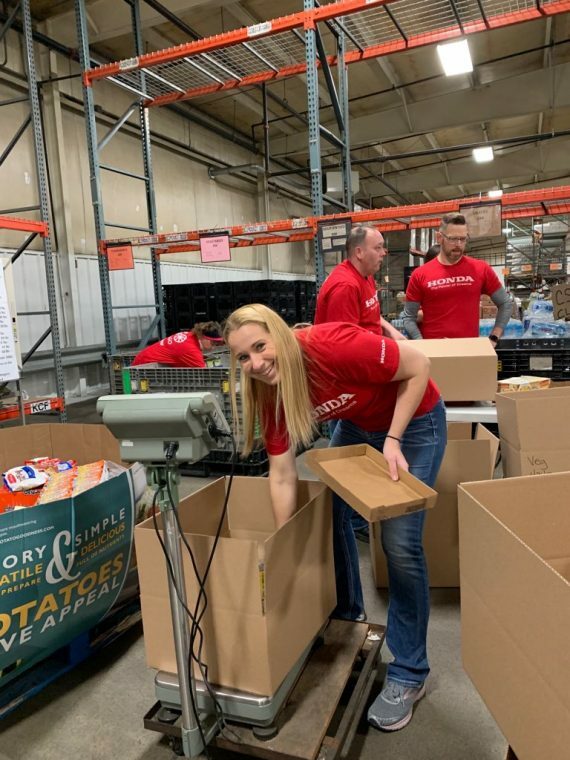 Associates sorted food at Second Harvest Food Bank on Jan. 26. The food was collected as part of Second Harvest’s holiday food drive and will be distributed through their food pantry. Bryan Speasmaker, North American Purchasing, and his son were two of the volunteers. 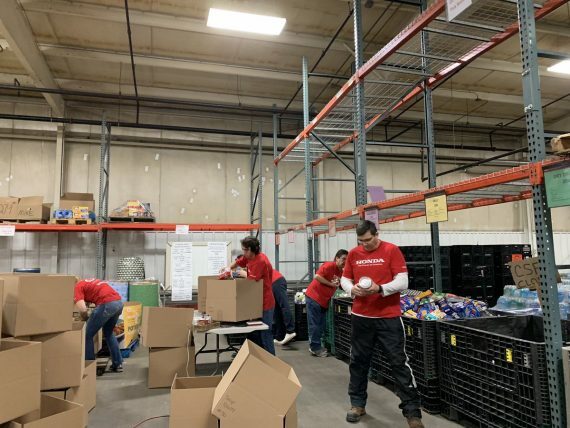 “At first it seemed a bit overwhelming with the amount of donations that needed packed and sorted, but our team was very motivated and we were able to pack all bins and sort most of the donations in the allotted time,” he said. Speasmaker was happy to see the number of donations made by community members.